Itec is pioneering the use of cold welding for its entire range of commercial-rated resilient flooring with the Itec Invisiweld system. Negating the need for power tools and easier to carry out than conventional hot welding, Invisiweld leaves an almost imperceptible join making for a finish that is clean and retains the original aesthetic of wood, tile, stone and cement style decors. “Cold welding is already widely used in continental Europe and we are keen to bring all its benefits to the UK,” comments Jason Barrett, National Sales Manager, Itec Contract Floors. “We feel the method will very often supersede hot welding as it requires less equipment, is faster, less expensive, more forgiving to slight errors and provides a far better aesthetic. 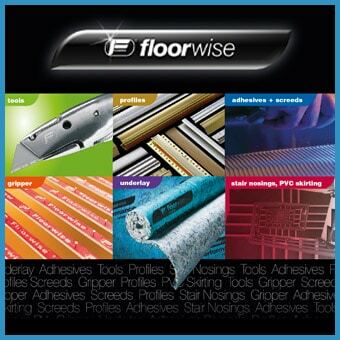 Included within the Invisiweld Pro Starter Kit are Type A (close cut and tightly butted welds) and Type C (0.3 – 4mm gaps) tubes, a contract quality knife, blades, rollers and tape; Itec Contract Floors also supplies Invisiweld Type A and Type C tubes separately. The same tubes can be used regardless of colourway or décor, making Invisiweld suitable for use on absolutely any design combination and easy to take from project to project.